The Energy Training Foundation (EnTF) has been providing training, examination and certification service to energy professionals in the Sub Saharan Africa and Indian Ocean Islands region since 2002. This service is done under license of the international certification body the Association of Energy Engineers (AEE). 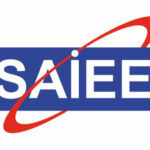 AEE has global presence in 100+ countries, with 18,000+ professionals holding 32,000+ certifications. EnTF aims to provide credible, recognised and high quality accredited training presented by internationally acclaimed trainers through public, inhouse, mentorship, youth programs, supplementary and fundamentals training, with turnkey service delivery. 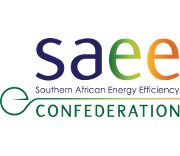 The EnTF is the longest-standing training house in Africa specialising in energy efficiency, renewable and alternative energy, energy management. EnTF is the energy division of Faculty Training Institute. Visit the AEE Professionals Directory to verify active Certified Professional Status. This CRM® course is designed to provide internationally recognised comprehensive training in the critical areas of greenhouse gas (GHG) emissions, carbon reduction and associated reporting. Sustainable solutions in the renewable and alternative energy sector on the various forms of low-carbon energy sources, and environmental impacts of alternative energy. Measure and verify energy savings in compliance with international and local standards, legislation and regulations. The PVTech course will provide candidates an understanding and tools to design grid-tied photovoltaic (PV) systems within the South African solar resource, technical and legislative contexts. The Fundamentals of Energy Management Training (FEMT) provides the basics to be able to understand holistic energy management that encompasses electrical, mechanical and thermal system. The Certified Water Efficiency Professional (CWEP) program is an international qualification for professionals. It is specifically designed for improving water efficiency and management. An ISO50001:2011 training course for those who require an understanding of the importance of the energy management standard. The SAPVIA Solar PV GreenCard (PVGreen) Course is structured to accommodate a variety of levels of experience, from beginner and ending at the end of the week with practically installing a solar PV system. AEE’s Certified Business Energy Professional (BEP) program awards special recognition to those business, accounting, marketing and energy professionals who have demonstrated a high level of competence in their field of energy practice. A 2-day training course that provides broad overview of what can be done in a shopping centre, or any other commercial building, to maintain sustainable operations. CASO training exposes candidates to all common components of a compressed air system, and how to perform an associated assessment.